This military corps was created by Turinese General Alessandro La Marmora, a big expert of military technology, in fact he had a workshop in his house to build and test new things. 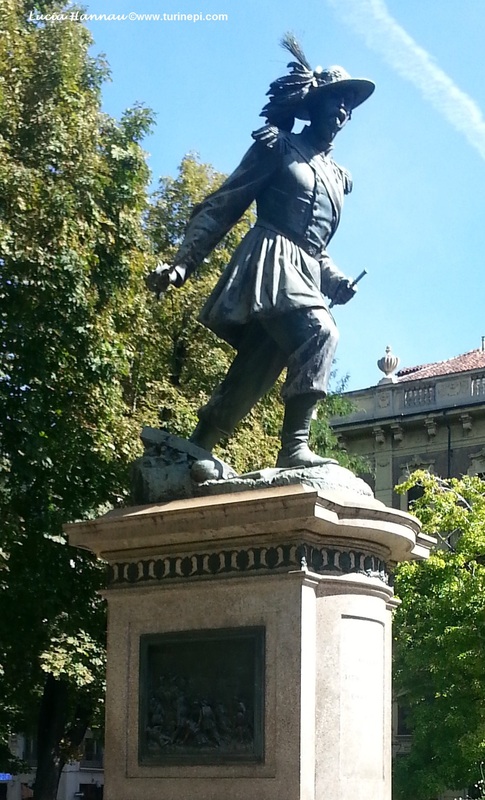 During his life, he traveled a lot to study other countries' armies, tactics and armaments. He finally died from cholera in Balaklva during the Crimean War, at 56. A high-mobility light infantry unit since always, Bersaglieri are recognizable by their distinctive wide brimmed hat, today worn only with the uniform. This hat is decorated with black capercaillie feathers applied to their combat helmets. Back in 1800s, the feathered hats sheltered hunters and marksmen from the sun. They are also famous for running instead of marching, during parades. Bersaglieri were presented to the Italian King (though still King of Sardinia back then) on July 1 1836 and he made them immediately part of the regular army. As the Kingdom of Sardinia couldn't afford a big cavalry, a quick-moving infantry corps was necessary. 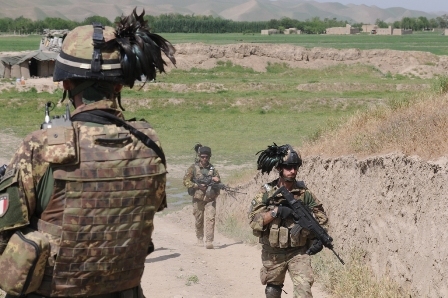 Bersaglieri underwent a big endurance training and encouraged to take some initiative and being independent in order to better operate in smaller formations without a direct command. When the First Company was presented in 1836, they marched through Turin with the same rapid, high-stepping gait (180 paces/minute) used in World War II and later. 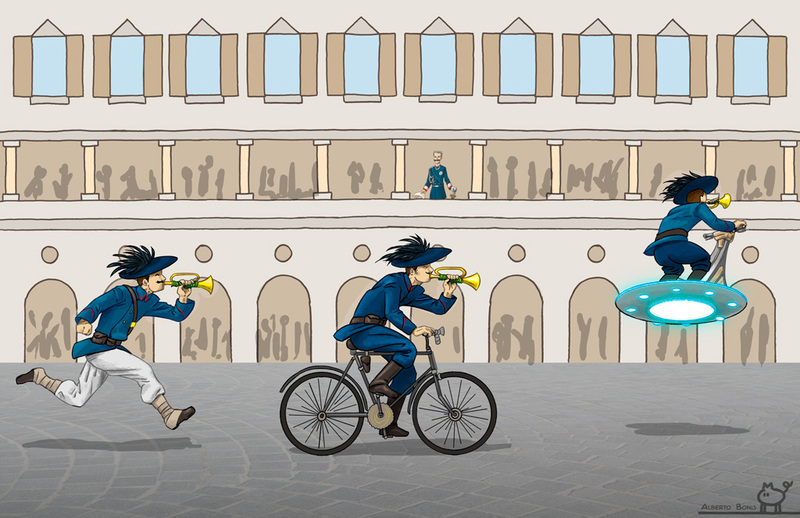 Today's Bersaglieri still run both on parade and during barracks duty - or they'll be punished! 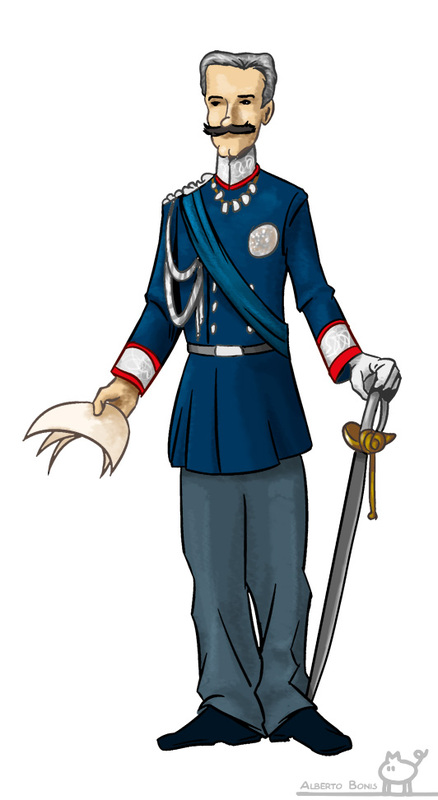 Throughout the nineteenth century the Bersaglieri filled the role of skirmishers, screening the slow-moving line and column formations, but they also acted as special shock troops when required. They were originally intended to serve as mountain troops, as well. Around 1855 they fought in the Crimean War and this is where they adopted the red fez with a blue tassel they still wear as a daily hat. Bersaglieri are especially famous for capturing Rome on September 20 1870 and putting an end to the power of the Pope, thus completing the unification of Italy. This is when they starting running instread of marching and since then it's become their trademark. After WWI, Bersaglieri were converted into bicycle troops to fight alongside cavalry in the Fast divisions. Bersaglieri gave Italy highly trained formations suitable for service with both cavalry and tanks. In 1939, Bersaglieri regiment was allocated to each new armoured and motorised division. 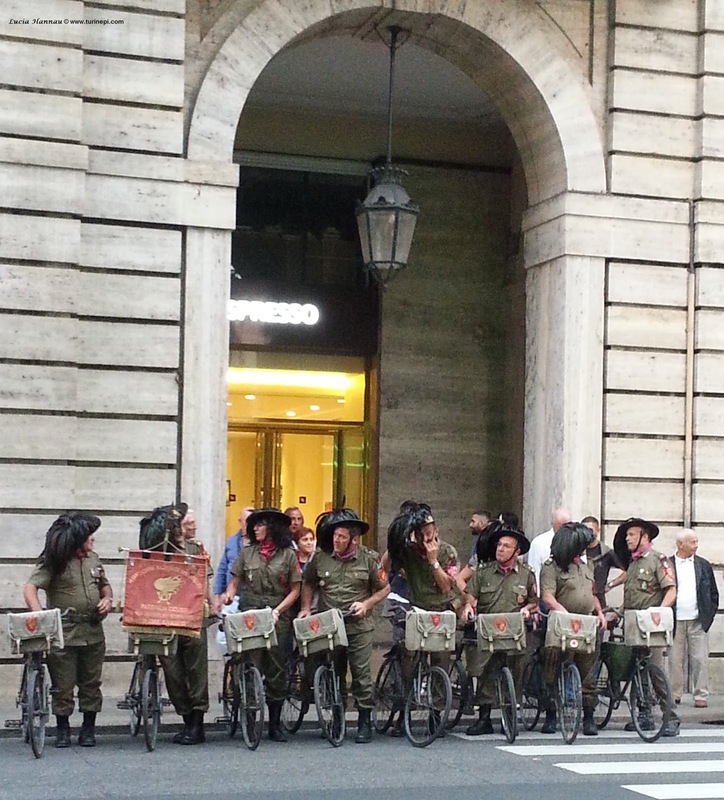 Bersaglieri on their bicycles in Via Roma, in Turin in 2013. Please notice there are women too! During WWII, Bersaglieri fought in France, Greece and East Africa. 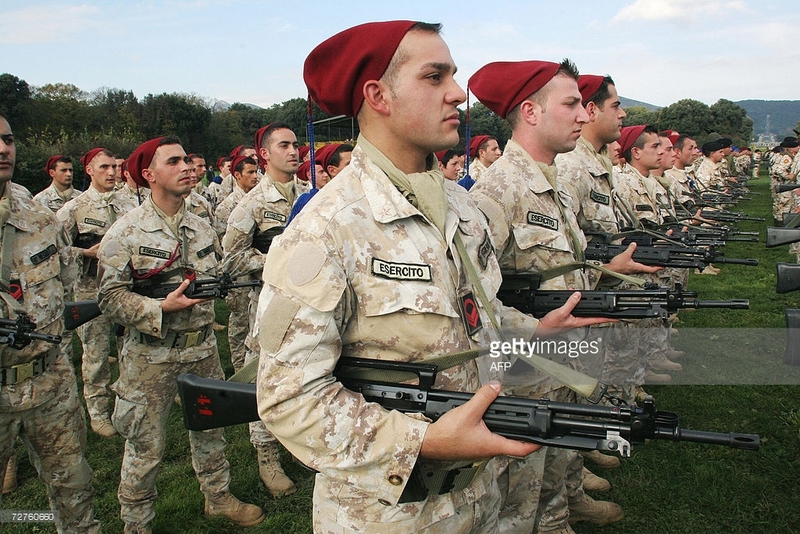 Today, Bersaglieri regiments are all mechanised and they serve as peacekeepers in the Multinational Forces. Their traditions are still alive: their collar patches are crimson-red "flames", they still wear the red fez - the official their hat and in 2011, they introduced a black berret; officers wear black berets with their ordinary uniforms, but the feathered hat in ceremonial uniform. They also wear black gloves to show how they defy death - unlike the rest of the Italian regiments who wear white ones. Each Bersaglieri unit had a band called a "fanfara" - today only 3 remains - and they still play their instruments at the run while on parade; their faamous march is called "Flick Flock". The "fanfara" does not contain percussion instruments and the Bersaglieri are the only military band in the world that plays running! At the beginning of Roman Holiday with Audrey Hepburn and Gregory Peck you can see a great clip of a Bersaglieri fanfara. Needless to tell you, since 2000 women can be bersagliere too, wearing the same uniform, fez locked on their hair with two barrettes and feathered hat with the uniform! Click here for a beautiful gallery shot in Turin! !